The cast does a commendable job in their roles, aided by the great cinematography and directing by Sam McCurdy and Neil Marshall. Narration throughout the film is well written and delivered and doesn’t take away from the movie. Doomsday is a raw, unflinching film that takes the “virus outbreak” genre to a whole new level. From the beginning we are informed that it’s going to be a wild ride by the simple, yet poignant injury of a certain underage child. From that point forward, the viewer knows this isn’t a sugar-coated, let’s go for a PG-13 rating, film. In fact, the Blu-ray is Unrated. Blu-ray extras include My Scenes, which allows users to bookmark their favorite and also allows them to create clips that are easily accessible via the menu. Another awesome feature that is only possible with a Blu-ray Disc is U-CONTROL – an in-movie feature that takes you beyond the movie with interactive features that pop up on the screen. 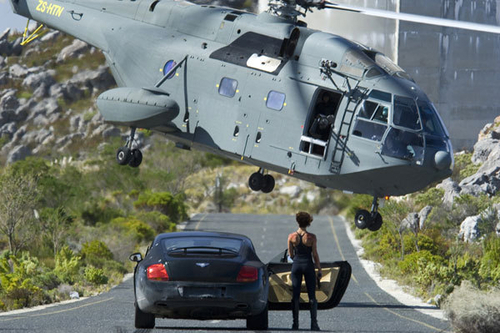 U-CONTROL features found on DOOMSDAY include: “Reaper Virus Files,” which gives you extra, classified details on the events and characters; “Tech Specs,” an in-depth look at the film’s vehicles and weapons; and “Picture in Picture,” which gives you access to interactive cast and crew interviews and behind-the-scenes footage while you watch the movie. Visually, the video transfer is great. Colors pop with really not much film noise or artifacting. Tech specs are as follow: 1080p 2.35:1 resolution and aspect ratio, English DTS-HD Master Audio 5.1 and English, Spanish and French subtitles. Special features are presented in 480i/p with English Dolby Digital 2.0 audio. 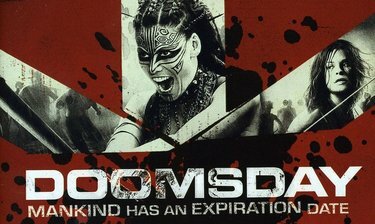 Overall, Doomsday is an enjoyable movie that I would recommend to people who enjoyed the following films: Mad Max, Escape from New York, 28 Days Later, I Am Legend, and other post-apocalyptic movies.